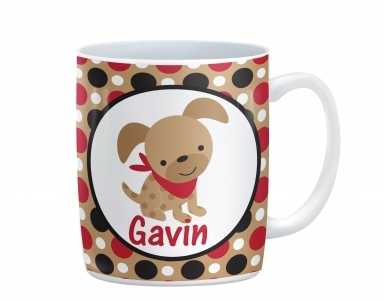 This adorable Puppy plate features a cute brown puppy with a bright red bandana. 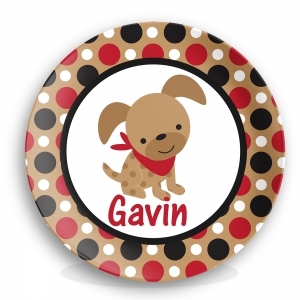 Your child will be delighted to have their very own personalized plate! 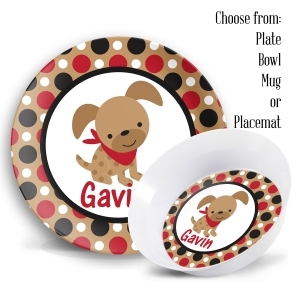 Your little one will enjoy his or her lunch or dinner meal with the fun personalized plate. This fun plate is melamine and is dishwasher safe. 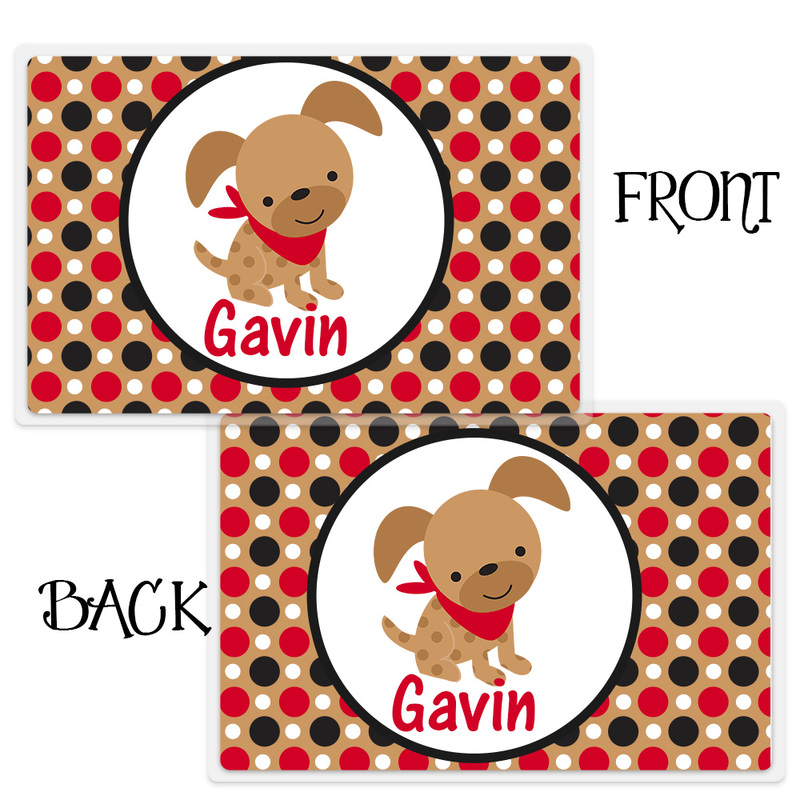 Fun, fabulous and super easy to clean. 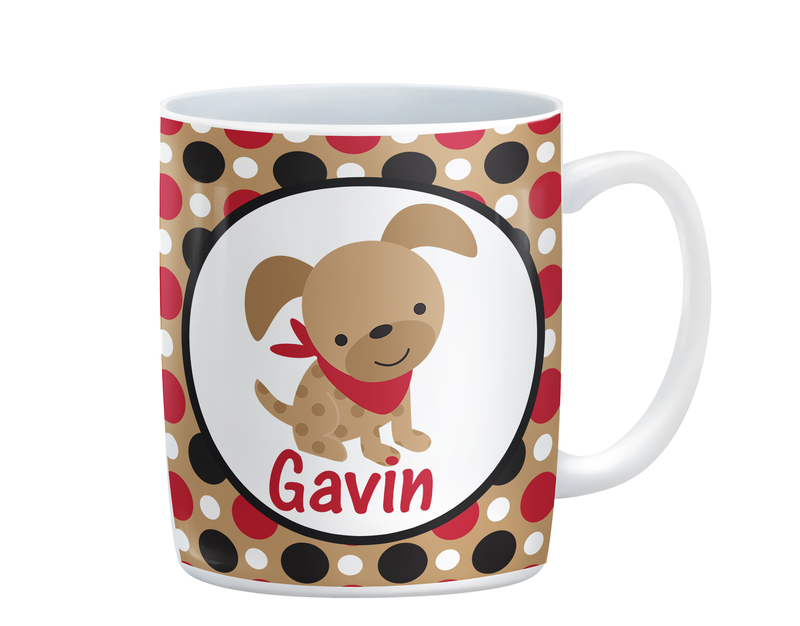 Get a set for the family, give as a gift, even have one for the holidays! 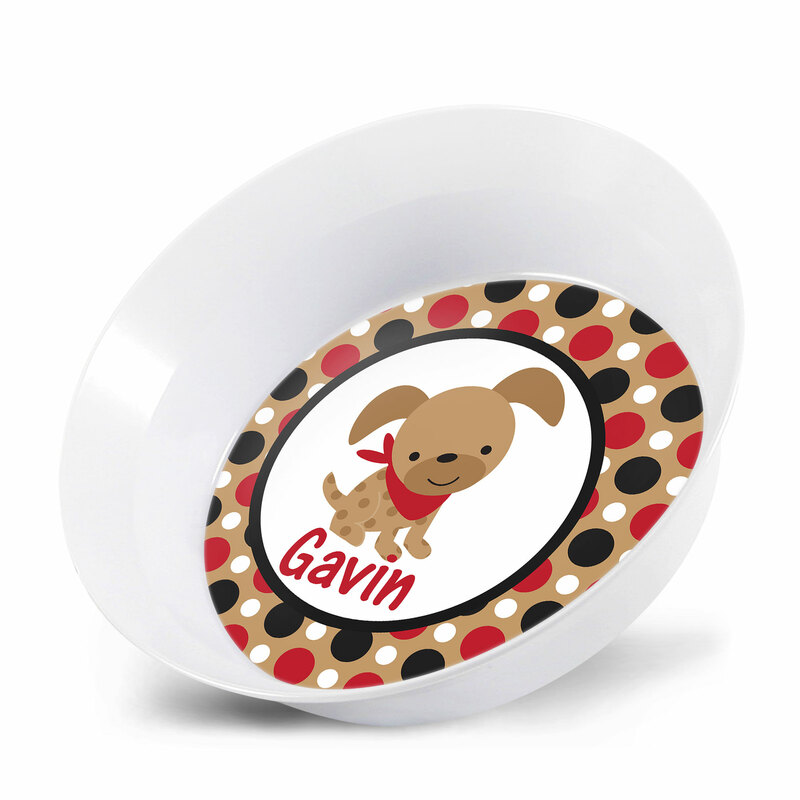 Oh and birthdays...how cute will it be to put your birthday guy or gal's name on their very own plate. So many great ideas and no more throwing out paper plates. Our Melamine plates are dishwasher safe but not microwave safe.